A traditional basic makeup application NOT including strip lashes in studio. A traditional makeup application, stylized to include strip lashes, highlighting and contouring in studio. An airbrush foundation application, which includes: stylized eyes with strip lashes, highlighting and contouring in studio. Created for the woman that has no makeup to the makeup junkie. Most of us are guilty of keeping products that are not for us or no longer serve us. This service will help you de-clutter and educate on which products actually work, while sharing beauty advice and make-up tips in studio. Great service for teens and parties! Providing makeup artistry for graduations, proms and professional photography. bat mitzvahs, sweet 16s, quinces, girls night out, and corporate/social functions. 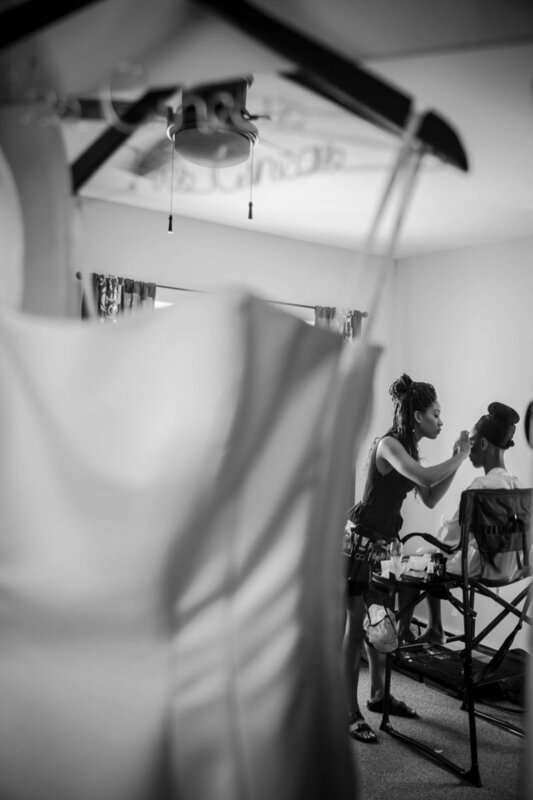 in studio for the Beautiology Bride. and all special occasion events! This service is crucial to brides, and should be made at least 3-4 months before their wedding. 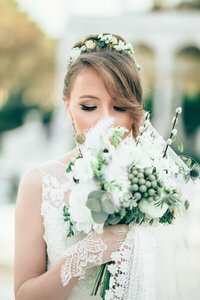 We ask our clients to have an idea of how they want to wear their hair and makeup on their wedding day and suggest to bring along inspiration, magazine cut outs and photographs. This service is a 'picture perfect' flawless airbrush makeup application for a long lasting wear which is also water, sweat, and tear resistant.